Bring mountain flair to your Aladdin table lamp. 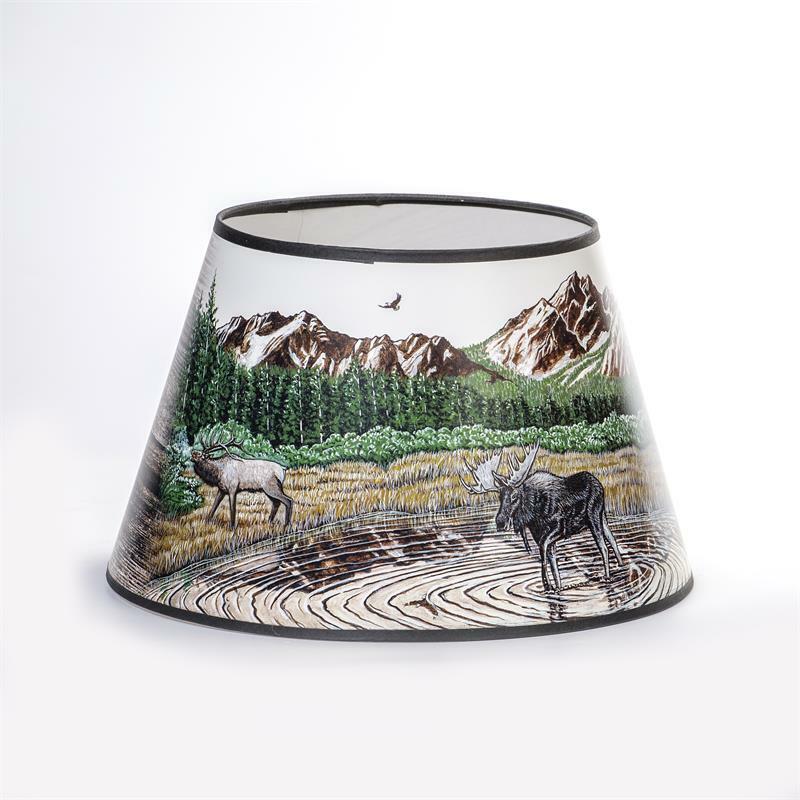 This exclusive parchment shade features artwork by renowned local artist Dennis Lipp, perfect for adding a touch of décor to your home. Plus, it helps diffuse and soften the light of your lamp. 14" diameter shade. 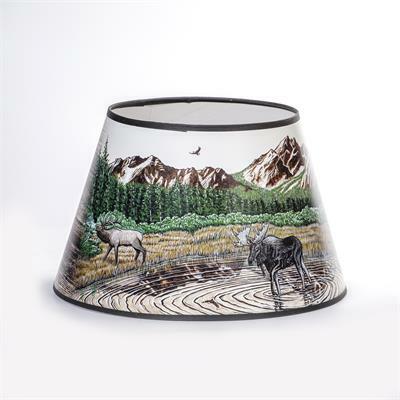 This 14" nature themed Parchment Shade is lightweight, and works well on Aladdin table lamps such as the aluminum table lamps, brass Heritage Table, and Short Lincoln Drape lamps. 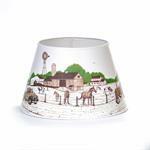 The 14" diameter paper shade would also look at home on any full size Aladdin Kerosene Mantle Lamp Table Lamp, glass or metal. 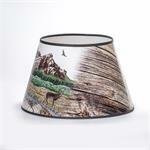 14" tripod/shade supports are available for purchase separately. Bring farmhouse flair to your Aladdin lamp. 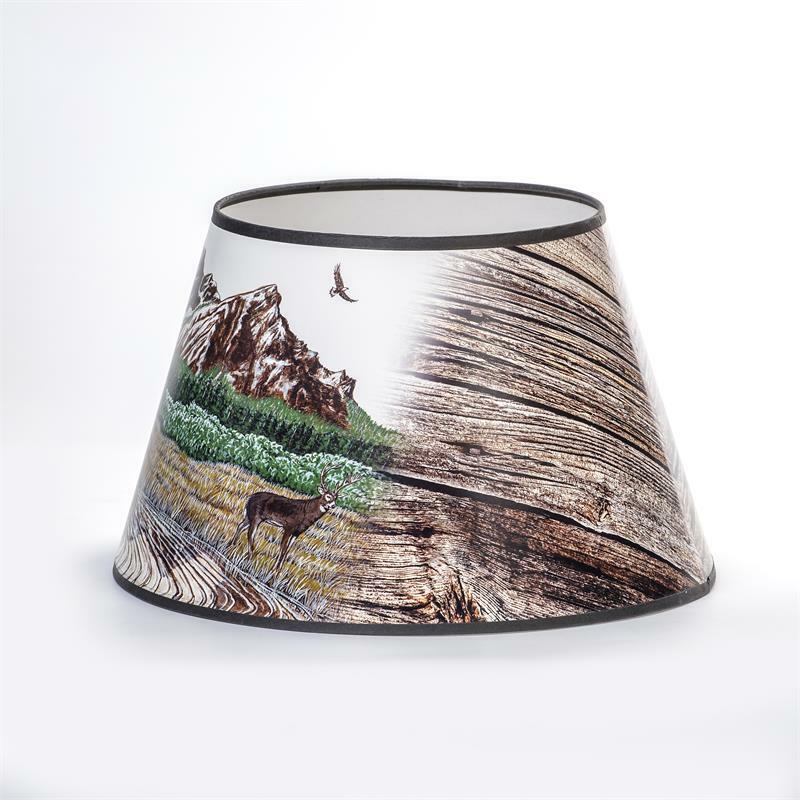 This exclusive parchment shade features artwork by renowned local artist Dennis Lipp, perfect for adding a touch of décor to your home. Plus, it helps diffuse and soften the light of your lamp. 14" diameter. Bring a touch of rustic charm to any lamp. 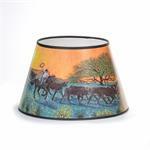 This new shade from Aladdin features a cowboy with Texas Longhorn cattle, mesquite trees, and cacti on a warm, sunset colored background.